Francis and Michael are brothers, though they could not be more different. Shy and nervous, Francis takes his refuge in the neighbourhood library, never quite able to muster the swagger of his confident older brother, Michael. But Michael’s hard shell hides a core of vulnerability that he knows he must protect at all costs, and as they grow, he garners a violent reputation, of someone who can snap at a moment’s notice. The inevitable result will be tragedy, and a decade later, Francis will still be trying to put his life back together when Aisha, his childhood crush, and local success story of neighbourhood girl made good, returns to town in the wake of her father’s death. Brother is a short, tightly written story of two brothers, sons of Trinidadian immigrants, who grow up in the Toronto suburb of Scarborough. However, David Chariandy chooses to begin at the end, a decade after the events that will shape Francis’ life forever. Francis is scraping by working in a grocery store close to home, and taking care of his mentally fragile mother, who has never quite recovered from the tragedy. Aisha’s return to Scarborough upsets the delicate balance they have struck in the intervening years, breaking open old wounds that have been festering for too long. Brother quietly exposes a dark underbelly of racism and homophobia that many Canadians would probably like to dismiss as an American phenomena. Michael and Francis’s neighbourhood is heavily policed, and being in the wrong place at the wrong time can have serious consequences, even just walking down the street: “We had been stopped by the cops before. There was a routine to it all: we knew that if you carefully played along you’d eventually be released, if not with your dignity, then at least with your skin. But that night we sensed and urgency we hadn’t experienced before.” Anti-black prejudice is entirely clear in this environment they must navigate in order to grow up and make good on their parents’ immigrant dreams. Yet somehow the promise of Canada never quite materializes. The tough outer shell that Michael has cultivated to protect his weak flank proves to be only a new kind of vulnerability to authority. Having shown the neighbourhood that being gay does not make him prey, he instead becomes regarded as a dangerous threat by the police. The city has a thousand subtle ways of showing these boys that they mean nothing. Michael’s boyfriend, Jelly, is a talented DJ, who enters a competition sponsored by a record company. In an underdog story, this would be where they triumph. Instead it is yet another reminder that they can be twice as good, and still get nothing but a beating for their trouble. The refusal to deal in platitudes or false hope is part of the poignancy of this story. Brother was defended in the 2019 Canada Reads debates by actor Lisa Ray. It has been an unusual year for Canada Reads in that three of the five titles are non-fiction, and one of the two novels is based on true events. Ray has focused throughout the week on differentiating the book she is defending as a work of fiction that shines a light on a reality that is underrepresented in Canadian literature. Her emphasis on beautiful, lyrical prose and has sometimes seemed to come at the expense of non-fiction as a mode of writing. In the Q&A after the show, she shared that she is a dedicated fiction reader because she values emotion, and doesn’t believe that data can tell the whole story. 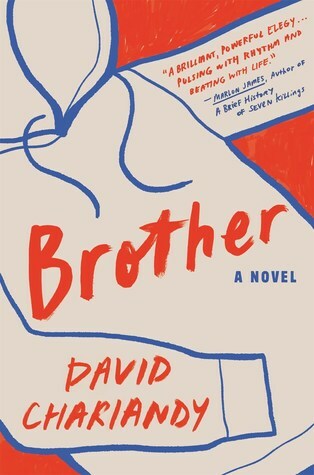 When not pitting fiction against non-fiction, Ray has been an eloquent defender for Brother. In addition to highly praising the lyrical writing—which David Chariandy spent ten years on—she has spoken powerfully to the themes, including racism, police brutality, and the cycle of poverty. She has also highlighted some of the quieter elements, such as the portrayal of mental illness in the mother. She pointed out that Brother is the one story at the table that looks at what happens when we open our borders to immigrants, but then fail to fully welcome them into our society and support them as they settle in. We do not always make good on our promises, and Brother invites us to look to our own backyard and question whether or not our society is as fair and as just as it could be. The Day Three discussions focused on questions of emotion, the portrayal of loss, magic, and the panelists’ personal connections to their chosen books. The discussion of hope in the books became a key point, with both Chuck Comeau and Ziya Tong highlighting the resilient hopefulness of Abu Bakr al-Rabeeah and Max Eisen, despite having faced incredible adversity. Ray took the counterpoint, arguing that the loss of hope was one of the tragedies of Brother, an ugly truth that Canadians need to confront. When the ballots were counted, Lisa Ray voted against By Chance Alone, saying that her choice was based on literary grounds. By Chance Alone’s defender, Ziya Tong, cast her ballot against Brother, as did Chuck Comeau, who was persuaded by Tong’s arguments, specifically a current photo she shared of author Max Eisen, which had been vandalized with anti-Semitic graffiti. Free agent Yanic Truesdale also voted against By Chance Alone, leaving Joe Zee to break the tie. Citing the need for hope, Zee voted against Brother, making it the third book to be eliminated from Canada Reads 2019. Catch up with Day One and Day Two of Canada Reads 2019!